Even if you seldom go off-road, you might still appreciate the Pathfinder's ability to give the most accomplished nameplates a mud-run for their money. And if you're looking for a people-mover that comes across as more mountain man and less soccer mom, the Pathfinder should more than suffice. Great for family SUV. Perfect for outdoors, & where seasons change constantly. We love our vehicle for where we live. It is incredible dependable in the winter and we love the 4wl & 4wh at the turn of a knob inside (while driving) feature. It is total seating is 7 but the back seats are really only suitable for very short and small people. We love that the seats all fold into the floor to create a flat internal truck bed for lots of hauling ability. The trunk with the seats up could be larger though. The biggest issue is fuel. We get about 17. 4 Mpg on average between se Ohio state routes and interstate (about half and half). It drops fast in the city or if we're on back roads for a while. This is perfect for a family of 5 or less who want a bigger SUV or the option to haul friends every once in a while too. And compared to some similar SUVs I have ridden in it drives pretty smooth. The seats are comfortable though I always have problems with any car's headrest and this is not exception. In the back I wish they popped up a little easier as the seats are short enough the head rest must be pulled up to safely ride. Reliable! Great for smaller families (3-4) but tight for larger. Perfect for frequent back roads/rougher terrain, and outdoor type families. This has been a very dependable vehicle. Great to have 4w high and low at the turn of a switch inside. This seats 8 but the back seats are higher and have less room than the rest of the car. Not very suitable for larger children or anyone over 5' 2" to ride for very long. We live that all the rear seats fold into the floor flat to haul larger loads (or even when camping and the tent fails < true story!). This helps make up for the fact that there is very little trunk space. Grocery shopping or traveling means the tear seats HAVE to be folded down. Other than some space issues, however, we love it and it's super reliable! Changes I would make: more rear room, headrests that are easier to get up/down (backs are low so these are a must for safety), we've had a few computer glitches but may be based on the age, better AC in the rear. I absolutely love this vehicle. I have the highest package in this model if I'm not mistaken. To start with it has pretty good gas mileage for a sport utility vehicle. On average in town I get about 18-20 mpg. Durable inside and out. I personally love this model better than the 2013 and up. Spacious trunk with third row seating that can be put away or set up for 2 more passengers. Heated front seats are always nice for cold mornings. My package includes DVD entertainment, 6 disc cd changer and backup camera as well. Mine is closing in on 90,000 miles and runs like a champ. 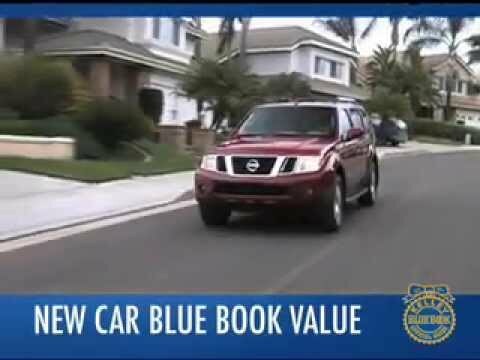 NISSAN IS RECALLING CERTAIN MODEL YEAR 2006 AND MODEL YEAR 2008 FRONTIER, XTERRA AND PATHFINDER VEHICLES. THE MOLDED FUEL TANK SHELLS CAN DEFORM, CAUSING THE FUEL SENDER FLOAT ARM TO CONTACT AN EMBOSSMENT MOLDED INTO THE TANK SHELL CAUSING THE INSTRUMENT PANEL FUEL GAUGE TO SHOW THAT THE VEHICLE HAS APPROXIMATELY ONE QUARTER TANK WHEN THE FUEL TANK IS EMPTY. THIS COULD CAUSE THE VEHICLE TO RUN OUT OF GAS AND STALL IN TRAFFIC, INCREASING THE RISK OF A CRASH. DEALERS WILL REPLACE THE FUEL LEVEL SENDING UNIT INSIDE THE FUEL TANK WITH A NEW ONE THAT HAS A MODIFIED FLOAT ARM. THIS SERVICE WILL BE PERFORMED FREE OF CHARGE. THE SAFETY RECALL IS EXPECTED TO BEGIN ON OR BEFORE MARCH 22, 2010. OWNERS MAY CONTACT NISSAN AT 1-800-647-7261.